Scotch bonnet shell (Semicassis Granulata) washed up on a North Carolina beach; photo by Joshyhmarks on Wikipedia (use permitted with attribution / share alike). North Carolina designated the Scotch bonnet as the official state shell in 1965. The Scotch bonnet is found along the the Atlantic coast from North Carolina to Brazil. North Carolina was the first state to adopt a seashell symbol. 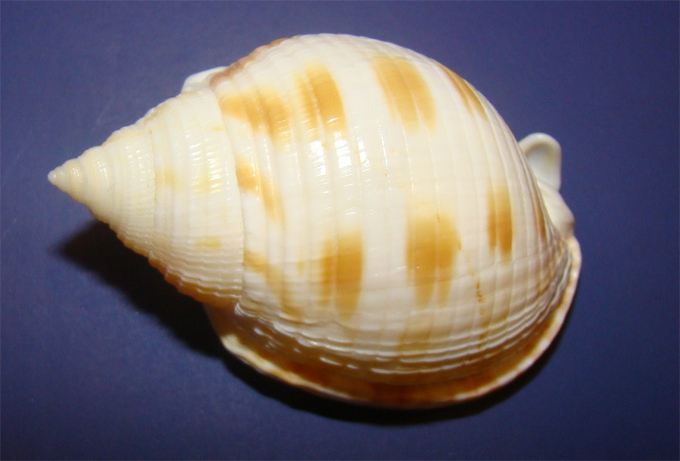 First cataloged in 1778, the Scotch bonnet seashell was so named because of its resemblance to the caps worn by Scottish peasants and because the color pattern resembles a Scottish plaid or tartan. 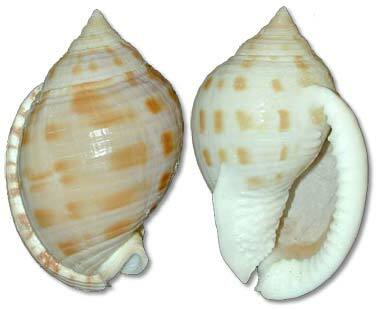 The Scotch bonnet is a gastropod in the same mollusk class as snails, slugs, and limpets. It is found in North Carolina coastal waters at depths between 50 to 150 feet. 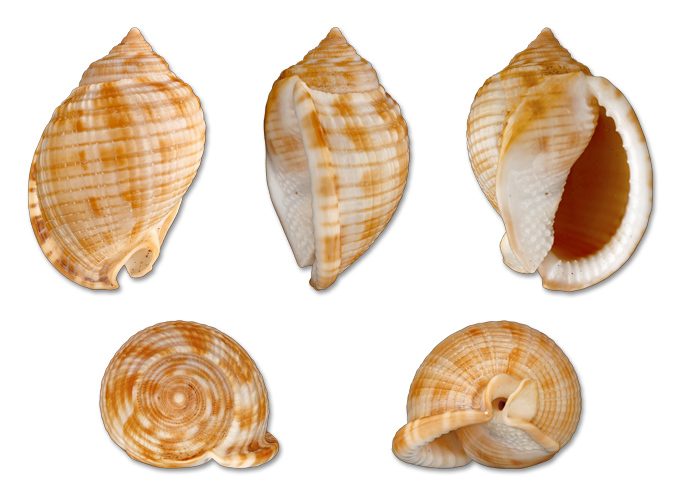 Scotch bonnet shells; photo by H. Zell on Wikipedia (use permitted with attribution / share alike). North Carolina Scotch bonnet shells photo courtesy of Sanibel Seashell Industries / seashells.com (all rights reserved; used by permission).